Emirates Airlines is often hailed as the world’s best airline, and with good reason. With a focus on comfort, entertainment, and even showers, Emirates makes strides to truly offer an experience, in addition to getting you from point A to point B. If you do choose to fly Emirates, your layover will be in Dubai (if it’s not already your final destination). So why not do a quick stopover? Dubai is an interesting swirl of past, present, and future. You can choose to eat an authentic Bedouin meal in your own private desert camp, rent a Ferrari and cruising down Sheikh Zayed Road, or stay at the futuristic, 7-star Burj Al-Arab. And despite popular perception, Dubai’s not just a playground of the rich and fabulous. In fact, there’s something for everyone. Stopping in Dubai has never been easier–or cheaper. Thanks to Emirates Airlines, experiencing a little Arabian adventure is not only affordable, it’s also super simple to book. 1.First, you can book your stopover manually, treating it as a separate leg of your flight. 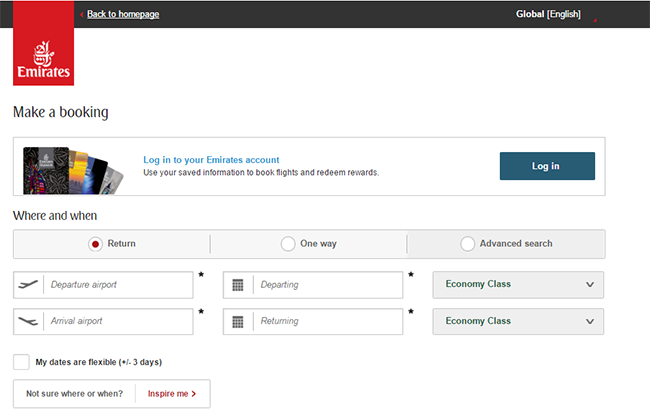 To begin, go to the main booking screen and choose the Advanced Search option. Next, choose your departure airport, and select Dubai as your destination. 2. Alternatively, book your stopover after you’ve bought your flights. Depending on where you purchased your ticket, you’ll have to either go through your travel agent or call Emirates directly to arrange a stopover. Prices will vary based on seasonal, dynamic pricing, but many stopovers don’t charge you extra–especially because Dubai is Emirates’ home base. Still, be sure to check Emirates’ terms and conditions for the latest updates. Keep in mind that Dubai’s entry requirements are also pretty convenient. Most nations receive either visa-free or visa-on-arrival entry, usually at no additional charge. And because Emirates is so central and flies from over 100 destinations, it’s a smart choice for a relaxing, (nearly) jetlag-free recovery layover. How much time do I need in Dubai? While Dubai is a dynamic destination, a 2-3 day visit is enough to satisfy most travelers. You’ll need to make sure you plan it out ahead of time, because there is just so much to experience. You can wander through luxurious malls and hotels, spend a lazy afternoon at the white sand beaches on Jumeirah, or sample some of the world’s finest restaurants. 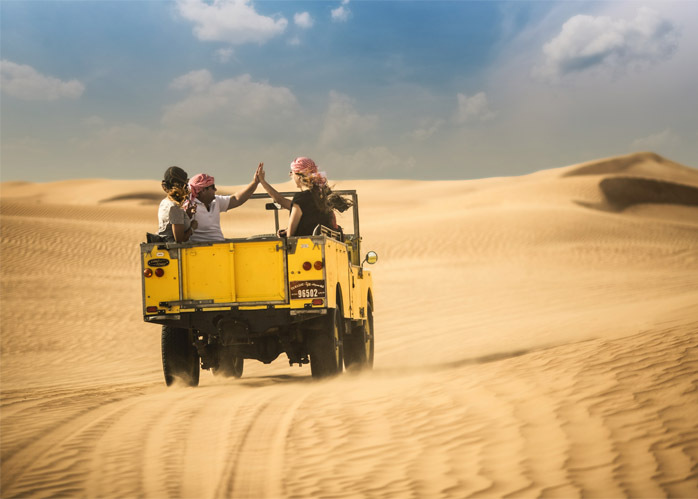 Or you can experience something traditionally Emirati and go on a desert safari. Rewind the clock and escape the urban confines of Dubai for a taste what life was once like. Spectate traditional dance performances, watch artists trace intricate henna patterns on your arms, or marvel at falcons soaring through the sky, diving after prey on command. Afterwards, sit down to enjoy an authentic meal of local, Emirati cuisine, prepared fresh from the finest ingredients. Sip on coffee, smoke shisha, and chat with friends old and new under the desert sky. These are but a taste of Dubai’s many flavors. If you are thinking of stopping over in Dubai, please take a look at our full Dubai Stopover Guide.